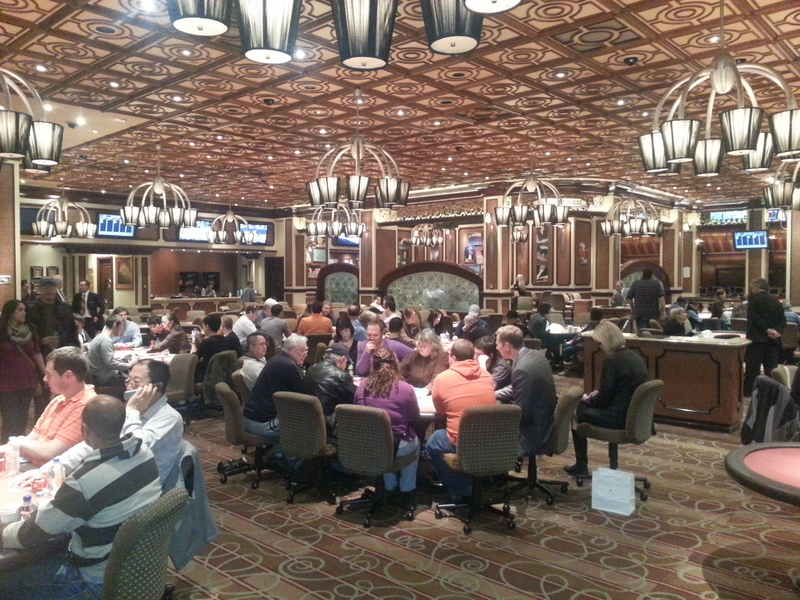 Flamingo spreads all three of their most common games: 1-2 no limit, 2-4 and 3-6 limit. I played all three games at stunningly unremarkable tables, so I had time to notice the commemorative chips. 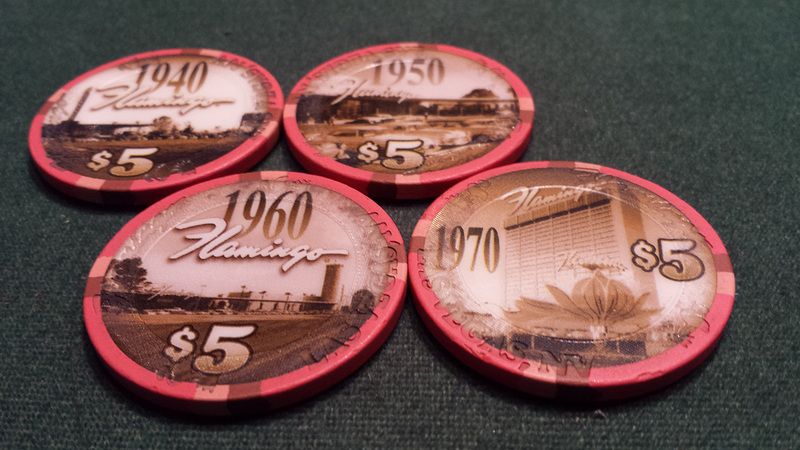 Four decades of Flamingo’s rich history is captured on poker chips with a hotel photo on each one. Of all the special chip productions around Vegas, these are my favorites by far.